In late June, I had the honour of hearing Professor David A. Bell speak at the Society for the Study of French History conference at the University of St. Andrews, Scotland. The theme of the conference was Turning Points in French History and he spoke on the period between 1715 to 1815. Professor Bell went on to discuss ‘the global turn’. He noted that a significant percentage of current history Ph.D. students are using global analysis as the main methodology for their thesis. He then discussed the limits of this methodology, particularly as a largely structural analysis. He argued that the methodologies of ‘the linguistic turn’ might actually be more helpful to us in analyzing the process of why change continues after these same global structures break down. Linguistic analysis largely views language as a structure that is culturally inherited and something that limits our ability to comprehend society beyond those concepts that are available to us in our immediate environment. As one of many Ph.D. students who have turned toward using global and imperial methodology, I was intrigued. Professor Bell’s talk also reminded me of sitting in an Ex Historia seminar on global and imperial history in 2013 and posing the question of whether this was just another passing academic fad. Like others I had been advised to do a thesis that is an analysis of the effects of globalization and the inherent influence of imperialism on that process. In many ways this is a good approach as a number of new academic positions are being created in the field of global and imperial history on both sides of the Atlantic. However, given the academic hype regarding globalization in recent years, I had honestly been wondering for some time when somebody was going to start questioning the efficacy of the methodology. I had started my work as a historian of heterodox religious exchanges between France and Britain, and was encouraged to expand my research to examine the influence of the East-West exchange of religious texts on British and French religious culture. This advice has taken my research in interesting new directions as I examine the importance of the British presence in India and of Napoleon’s expedition to Egypt on the evolution of religion in late modern society (from the French Revolution onward). I have also found it useful to examine the increase in imperial infrastructure and the resulting increase in the global circulation of texts. This clearly takes me out of the realm of studying the history of religion as cultural history and into the realm of examining the infrastructure and corporate relationships that enabled this global circulation. More traditional historians seem to want to push me back into the cultural history box, as if we cannot study the history of the globalization of religion. But as Professor Bell aptly pointed out, a number of events in French history occurred only because of increasing global connectivity. These included the booming Atlantic economy; the challenge of slavery to the ideals of the French Revolution; mobile populations; rapid expansion of contacts with other jurisdictions; imperial competition; and the challenge of fighting major wars. He also wisely raised the question – what happens when these imperial structures break down? The French Revolution remained. Professor Bell maintained that the global turn in and of itself could not adequately explain why the French Revolution had global significance. Global history certainly does places a great deal of emphasis on structures such as railroads, telegraphs, steam ships, printing presses, and the networks of commerce that all of these enabled. But the movement of history in the late modern world has been strongly influenced by the growth in literature and literacy. A legacy of the Enlightenment, literacy has become an increasingly powerful tool for policy and decision makers in making their arguments and gaining support from the masses. In many ways, literacy has been the defining feature of modernity. It enabled the creation of a collective national conscience or ‘imagined communities’. Robert Darnton and Daniel Roche, for example, have established the importance of print to the French Revolution in Revolution in Print (1989). Nineteenth-century socialists such as Annie Besant made full use of pamphlets and periodicals in France, Britain, and India. And increasingly we, as global and imperial historians, are using radio transcripts, film, social media sources, and fictional literature as historical sources. We are therefore doing more analysis of the rhetoric that was used to move policy agendas forward. Historians have not forgotten the lessons of the cultural turn. Examination of these narratives is where the future of global and imperial history lies. Rather than looking to the structures of imperialism alone, global historians of the future will be examining the narratives of imperialism and the factors that drove them. We already know that money and resources were moving about the planet by way of international structural developments. However, what is less clear is who developed the narrative that globalization and imperialism were good ideas. This raises big questions that I am now attempting to tackle in my own work. Who drove the narratives and how did they deliver them to the masses? Who critiqued imperial policies and how? Why? What were the effects of these narratives? We know that globalization was largely an imperial manifestation but who drove the imperial agenda? Increasingly global historians are rejecting the gentlemanly capitalism argument that the City of London was the main imperial driver. Did decision makers drive the narratives of imperialism or did they merely work within it? Specifically which decision makers were involved? What media did they use to spin their stories? What did the general population know about imperialism and how much did they care? As an example from my research, Oxford philologist F. Max Müller has been noted for his involvement with The Sacred Books of the East Project (1879-1910) and his strong knowledge of Sanskrit. He worked with the collections of the British East India Company and attempted to influence foreign policy in India. We know through correspondence that he had contact with Prime Minister Gladstone, George Campbell (Secretary of State for the Colonies), and various lower ranking civil servants. While Müller is generally considered a champion of India, earlier historical documents reveal him to believe in the need for a second conquest of India through increased education. I would argue that Müller’s books were an important aspect of creating the imperial narrative of India as lost spiritual homeland and religious partner to Britain, thus making it easier to justify a Western education program. Analysis of the globalization narrative will bring historians and literary scholars closer together than ever before. The future will likely bring more humanities scholars into the realm of dealing with texts and languages of the Eastern world that have not traditionally been part of Western scholarly study. This will force us to expand beyond Western-dominated histories in new ways, requiring new methods for dealing with the languages of the East and the translation of Eastern texts. We will need to develop new methodologies beyond learning every Eastern language in the way that we have traditionally learned European languages. While traditional linguistic analysis might be useful for analyzing decision making, it is limited in its ability to help us understand who made the decisions and how policy makers broadly influenced other historical actors. After all, language is just one of many structures in any given society. While structuralism was born in a linguistics department in 1916, it came to be applied much more broadly. There are economic and political actors who determine what the narrative will be. While they do often control public discourse, it is the technologies and structures of late modern life that enables them to control it. I am constantly surprised by the desire of scholars to return to structuralist analysis now that there is some level of consensus that post-structuralism as the major discourse of the academy is over. Going back to the methodologies of the past is not the most lucrative way forward. Structural or linguistic analysis is but one part of the process of analyzing global narratives. We cannot ignore that political and economic factors influence how history moves forward. We need look no further than the 2008 financial crisis or wars of recent decades to know that this is true. Arguably, the growth in the study of global history is because of the growing recognition that economic and political factors cannot be ignored in favour of the cultural turn. However, it is the nature of the interactions between political and economic factors, narrative, and technical structures that global and imperial historians should be trying to determine. We live in the age of the storyteller. This has taught us the importance of narrative in the contemporary age. 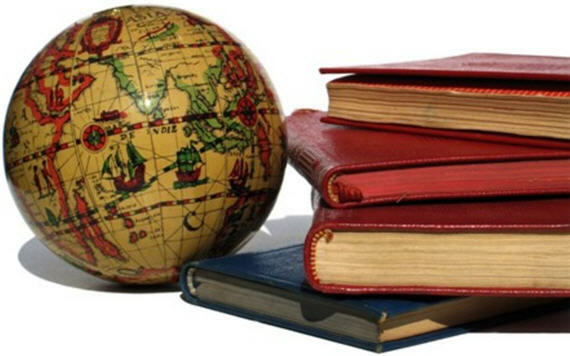 The work of the global historians of the future will be more like that of literary scholars than linguistic scholars. It will entail undertaking the monumental task of untangling how narratives of imperialism and globalization were told and mediated at the local level.